Dreaming of living at a slower pace or maybe somewhere you can escape to on the weekends when you need a time out of the hustle and bustle of daily life? This one-bedroom property showcases captivating views of the Sangre De Cristo Mountains and could be just the peaceful sanctuary you've been looking for. Offering more than 35 acres of land, you will feel a million miles away when you sit back and relax on your wooden deck taking in the breathtaking mountain views and grassy surrounds. The layout makes the most of the space on offer with one light-filled bedroom plus a flexible loft space that could be used as a second sleeping area. The kitchen is compact but offers an island with storage, a gas cooktop, and space for a full-sized refrigerator while a Â¾ bath services the home. There's a solar power system already installed while a fire pit is an ideal place to host friends on those chilly nights. This stunning property is partially fenced, and there's a root cellar which offers plenty of extra storage. 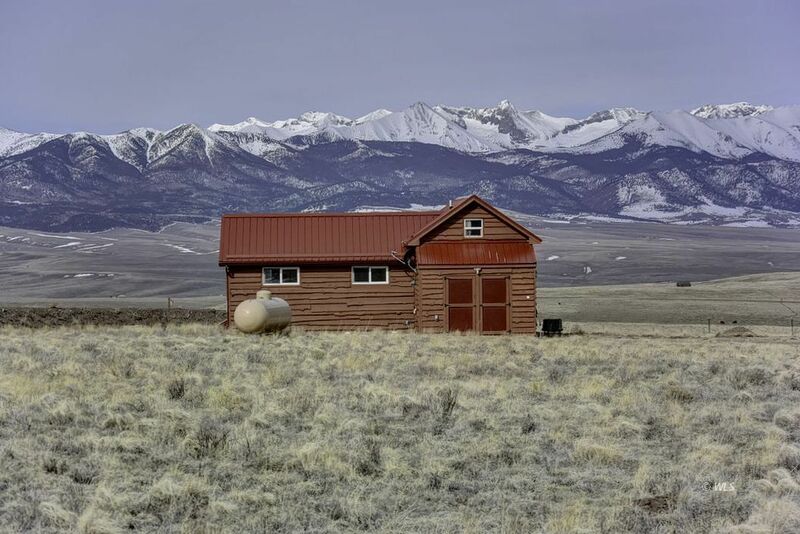 All this is set just 15 minutes from the town of Westcliffe and Denver is less than 3.5 hours away making this a great weekend get-away home for anyone looking to escape.